Luxury Vacation Home Rentals, Luxury Resort Services - Dangling off the Florida mainland, somewhere between the serene Gulf, adventurous Atlantic and the majestic Caribbean, lays a precious strand of island jewels. Here cool ocean breezes usher in the morning, shores are kissed by the sun, and both sunrise and sunset can be seen dancing along the waterâ€™s horizon. Here tides are seen in technicolor boasting shades of aqua, sapphire and cobalt and the rhythms of the sea gently lapping against the shores create an oceanic lullaby. Here barefoot is the shoe of choice, simple is a way of life, and the only time that registers is island time. Where the road ends, relaxation begins. Welcome to the Florida Keys. 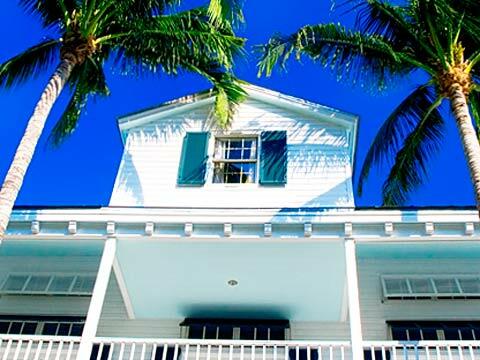 At KeysCaribbean Resorts, your Florida Keys vacation includes luxury home accommodations with all the services and conveniences of a luxury resort. Complementing the most stunning locations in the Florida Keys, KeysCaribbean gives you access to an authentic island vacation, presented at each resort by our exclusive Adventure Concierge, offering the finest amenities, personalized services and customized activities that cater to your every need -- and every want. Requests are limited only by imagination â€“ from the worldâ€™s best diving and the worldâ€™s best fishing to historic overnight excursions and eco-tours that put you up close and personal with rare wildlife. As diverse as nature, culture also thrives with world-class shopping that holds a distinct Florida Keys flair and diverse local attractions including music, theatre and art. Seamless service is also a way of life at KeysCaribbean â€“ from spa treatments delivered by Mother Nature herself, to priority access to the most popular landmarks and preferred dining reservations where the freshest seafood is the catch of the day. If you can imagine it KeysCaribbean can provide it.